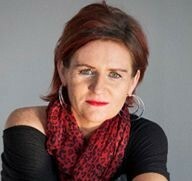 Crime author Kimberley Chambers and HarperCollins have launched a writing scholarship, the 'Kickstart Prize', in association with Peters Fraser and Dunlop (PFD) Literary Agency and CrimeFest. The prize, announced at Crimefest in Bristol on Saturday (19th May), aims to "kick open doors to writers who need a leg up into the world of publishing", through a £1,000 bursary to help with writing essentials, time with Chambers’ editor, writing tips and feedback, and an offer of representation from PFD. Reading the mission statements of Irish literary journals, a common theme emerges: the desire to offer writers the space to develop ideas that may not otherwise find a platform. From the more established titles such as Dublin Review, Crannóg and The Stinging Fly, which published its first issue 20 years ago this month, to more recent outlets like The Bohemyth, Banshee and gorse, fostering talent new and old is the backbone of “the little magazine”. I thought being a reporter could teach me everything there is to know about the difference between fact and fiction. I was wrong. I always thought I had a handle on truth. Truth lives in facts, in what we know and can measure and prove. But there is truth beyond that, too – truth that lives in the stories we tell each other. I learned this from Augustine. He was a friend of mine from Nagaland, a forgotten teardrop of unyielding land wedged between Bangladesh and Burma, high in the foothills of the Himalaya. It is a part of India often neglected by the rest of the country: rent by a decades-old separatist insurgency that has yielded little appreciable liberty, scarred by drug dependency and high rates of HIV, suffering the dislocation and disconnection so many minorities endure in the face of an indifferent majority. Publishes picture books for children up to 1,000 words. Seeks fresh, original fiction on universal themes that would appeal to children aged 3-8. Generally does not acquire rhyming texts, as must also be translated into German. Send submissions by email as Word document or pasted directly into the body of the email. Authors do not need to include illustrations, but if the author is also an illustrator sample sketches can be included in PDF or JPEG form. Now in its fourth year, the competition marks Africa Day 2018 celebrations and offers a platform for emerging talent, as well as established writers of all ages. Minister of State for the Diaspora and International Development, Ciarán Cannon has announced that Irish Aid has again partnered with The Irish Times on an African-themed short story and poetry competition. Entries are invited across three categories: Primary School, Secondary School and Adult. Writers are invited to submit a short story or poem relating to the relationships and interactions between Ireland and Africa. Leading Australian novelist Tim Winton says he has been left "deeply wounded" by the decision of the country's biggest publishing company, Penguin Random House, to axe his highly respected publisher, Ben Ball. Ball was appointed publishing director of the newly created Penguin Random House Literary division less than a year ago and has an illustrious career publishing literary heavyweights including Winton, Peter Carey, Robert Drewe and Sonya Hartnett. Bestselling author Marian Keyes is funding a £2,600 place on Curtis Brown’s online six-month writing course for one “talented writer with limited financial means”. Keyes is providing financial support for the place on Curtis Brown Creative’s (CBC) next novel-writing course starting in September. The scholarship will be awarded on the basis of quality of material – applicants fulfilling the eligibility criteria should send in the opening 3,000 words and one-page synopsis for the novel they would like to work on during the course. Send query by email only to one agent only. See website for individual agent interests and email addresses. No submissions by post. I make stories for improbable bookshelves. I once came across this term in an Italo Calvino essay and I’ve held on to it ever since, as it so closely describes the way I work. I recently wrote a new version of the Persephone myth, but it can’t be found in a bookshop or online. Persephone’s Footsteps is an altitude-responsive story and map that has to be carried on a journey through a city. As Persephone climbs higher – first to escape the Underworld and then to escape the polluted city streets – the listener must climb higher to reveal more of her story. At the moment, there is only one version of this work in existence. Is it scalable? Perhaps, but my real hope is that it’s my approach to writing that’s scalable – that writers might be inspired to explore new ways of writing, bringing enlivened approaches to literary forms.